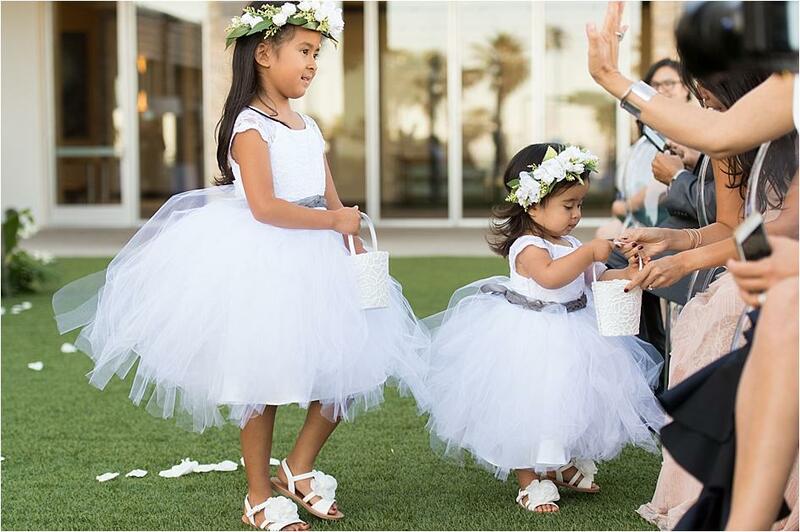 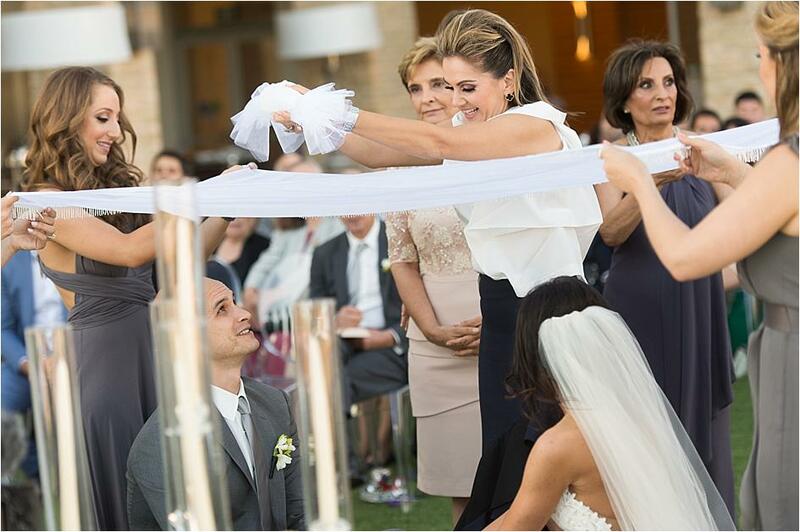 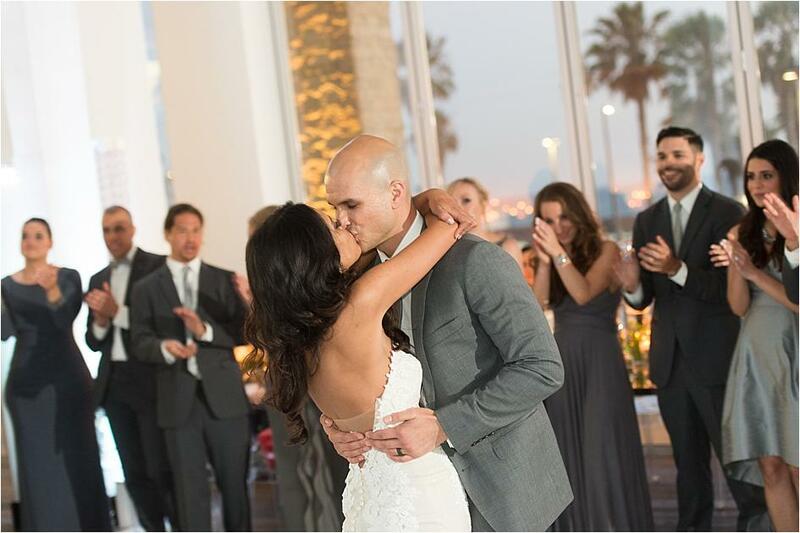 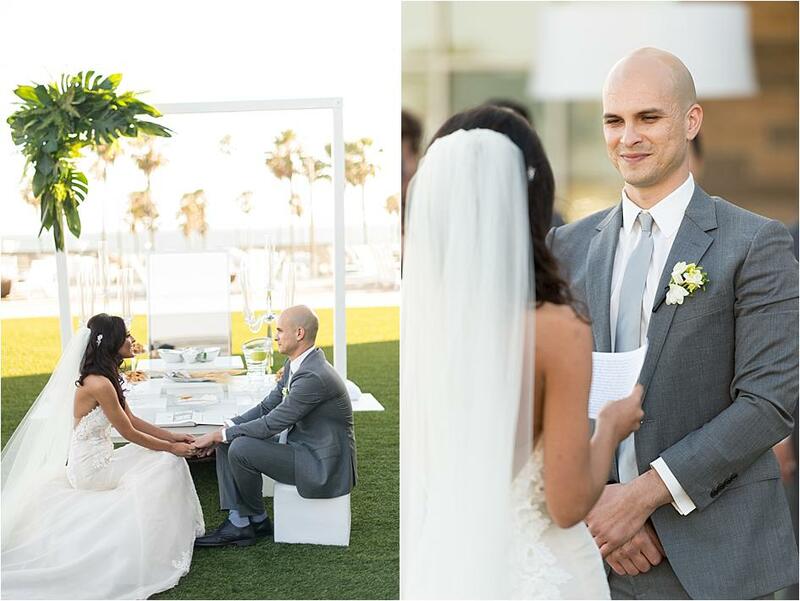 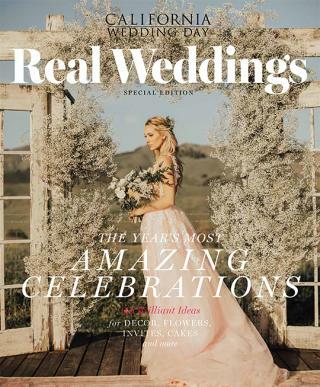 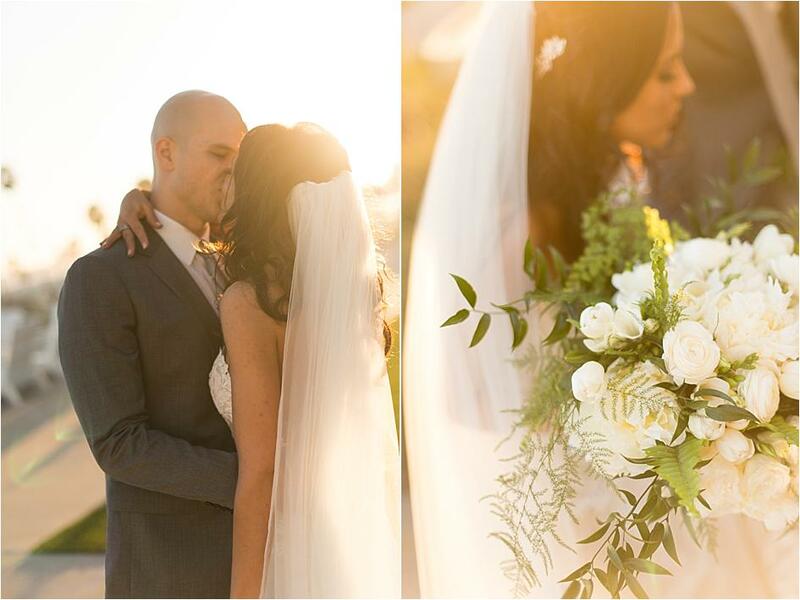 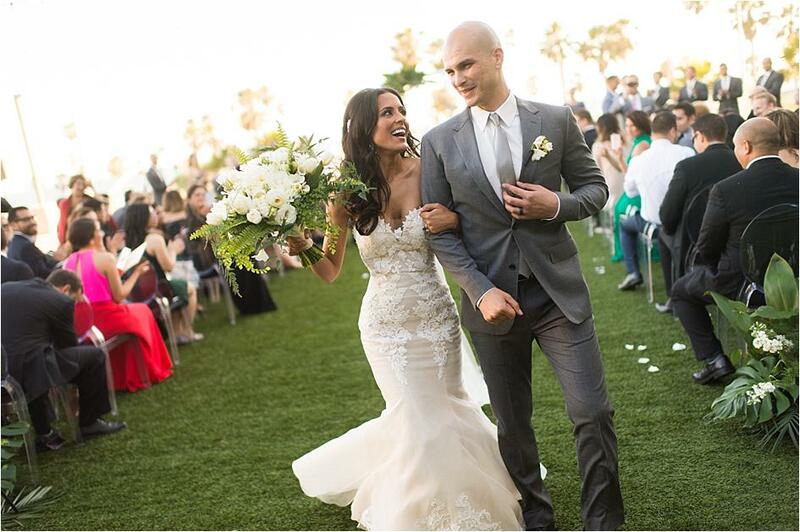 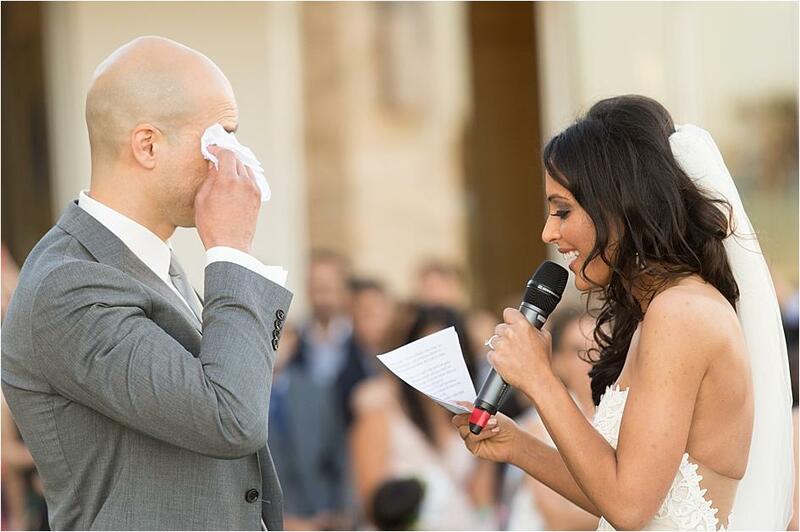 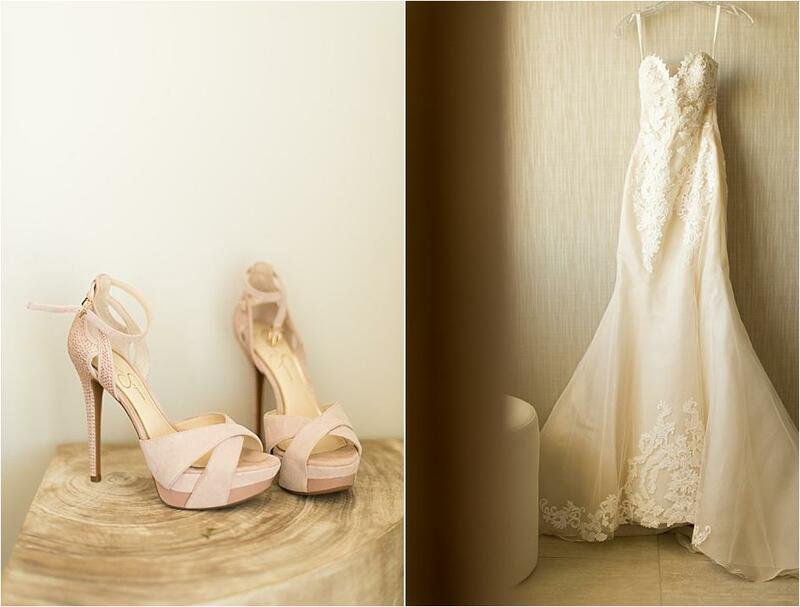 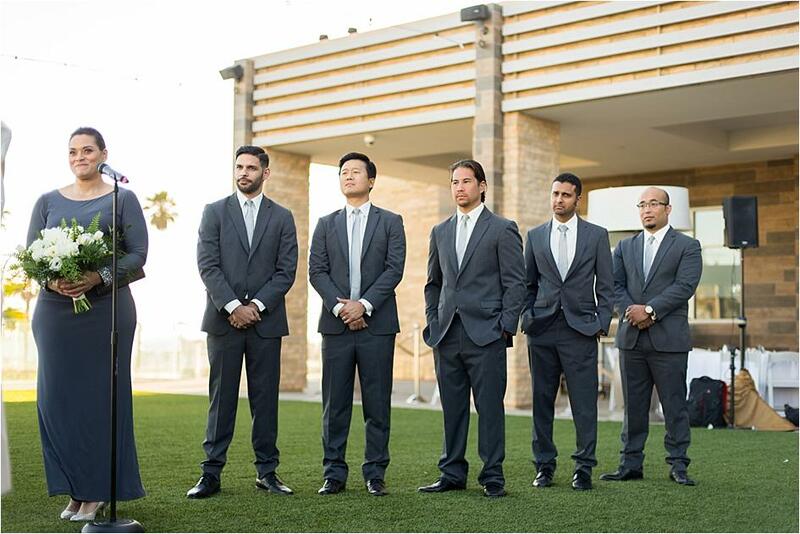 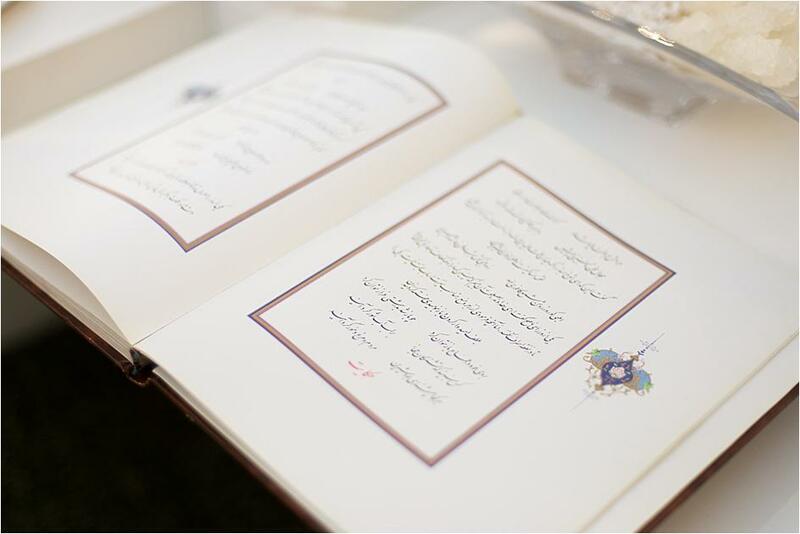 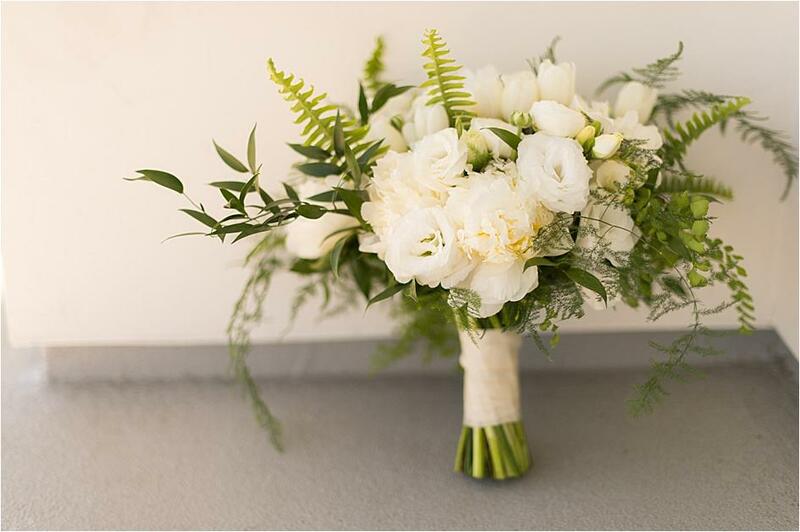 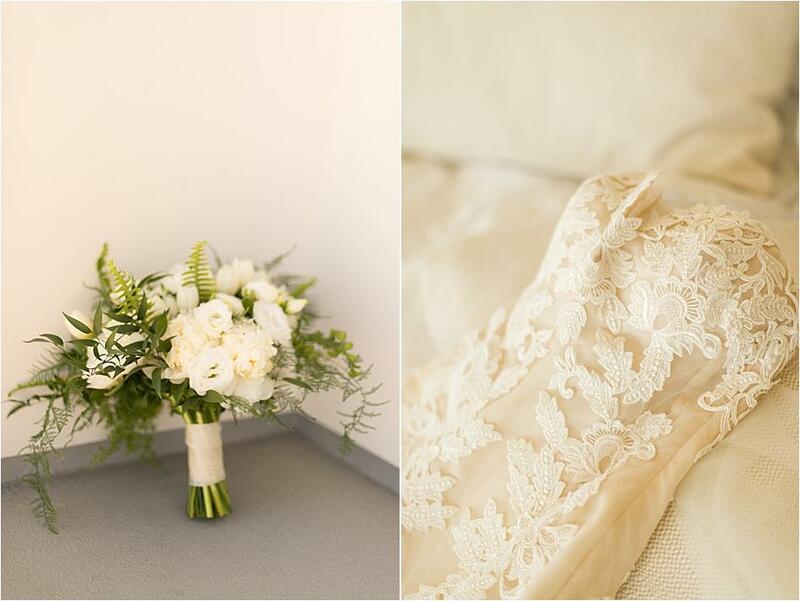 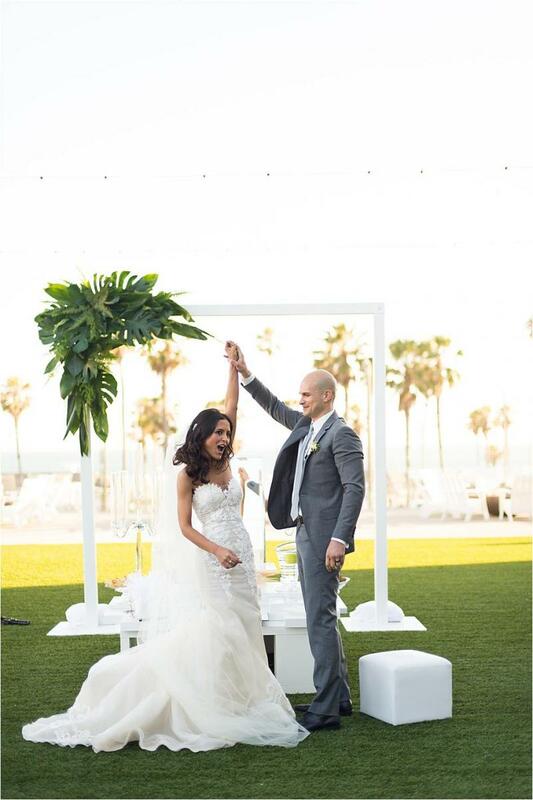 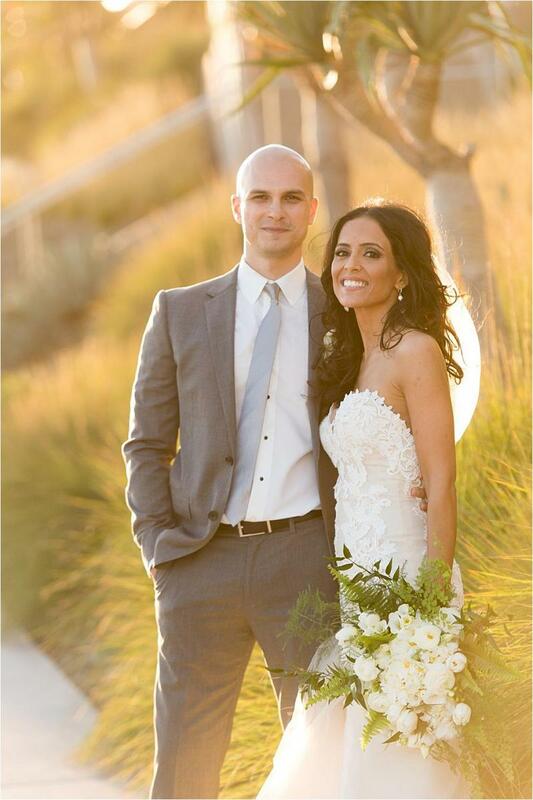 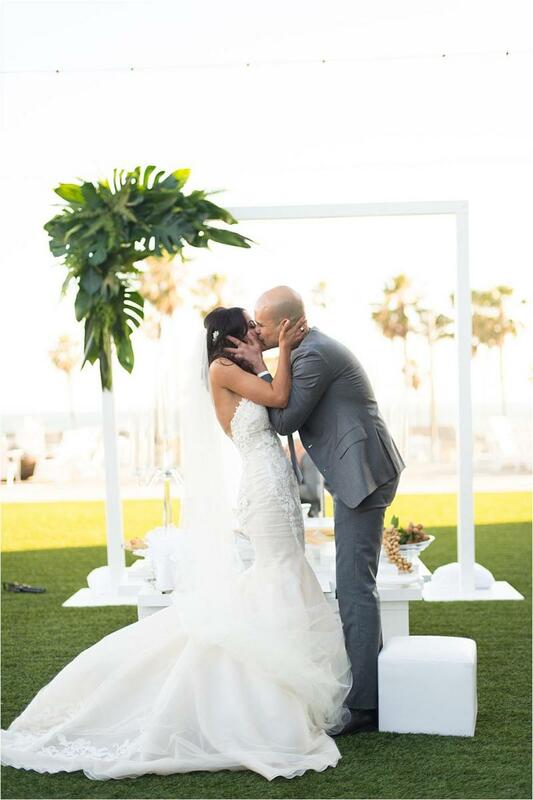 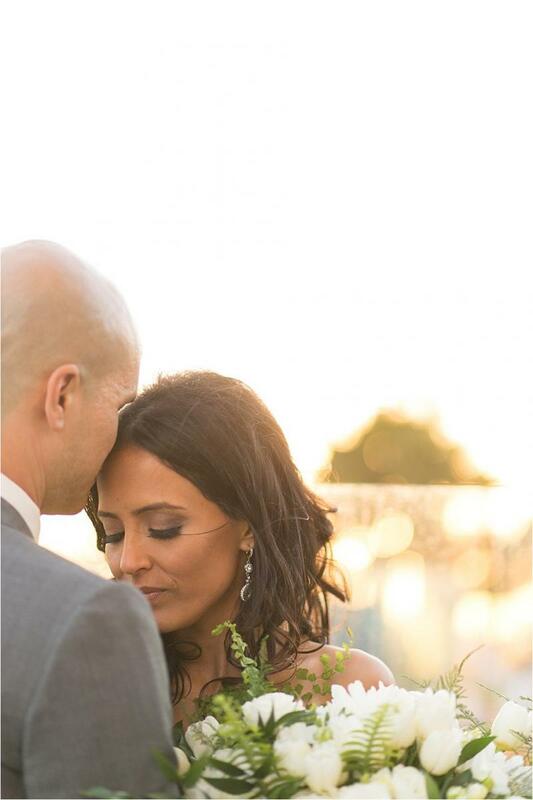 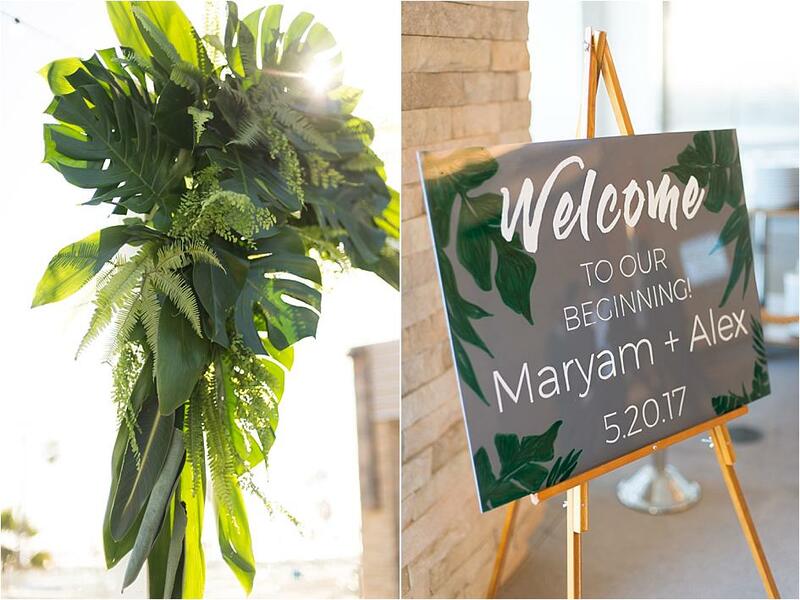 Maryam and Alex's wedding at the Pasea Hotel in Huntington Beach showcased all things beautiful and beachy. 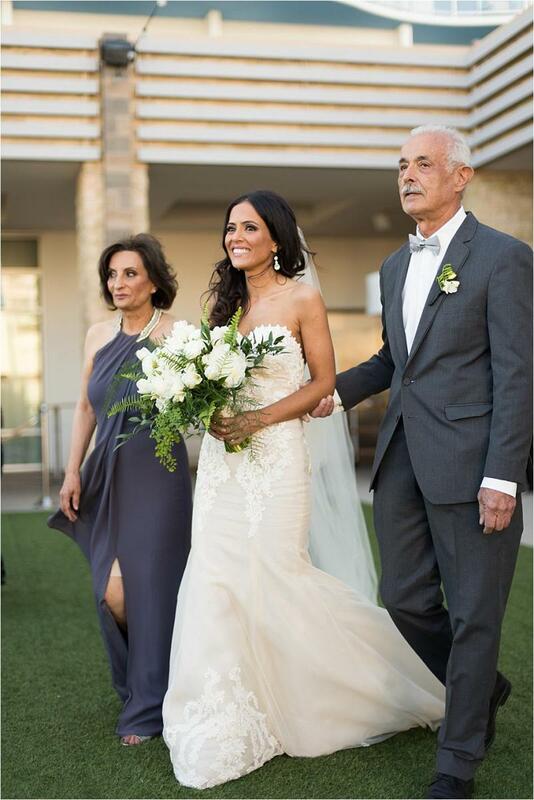 A sweet color palette of pretty blues and greens was paired with neutral hues of blush to create a stunning backdrop for the big day. 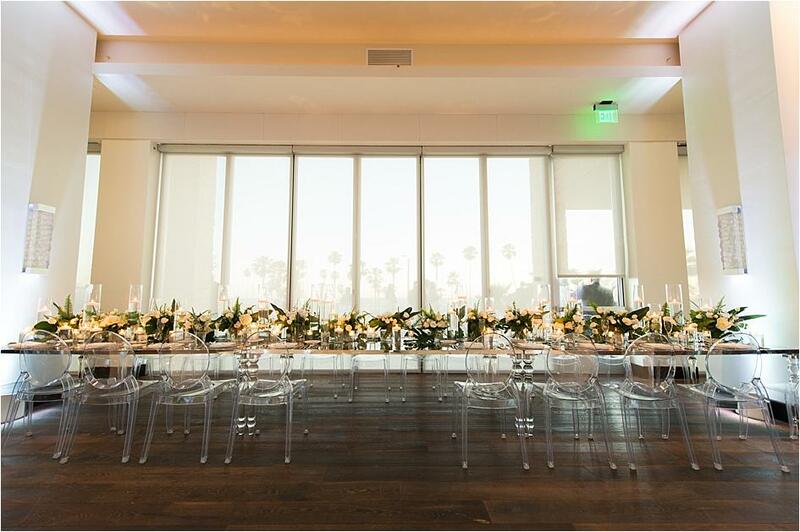 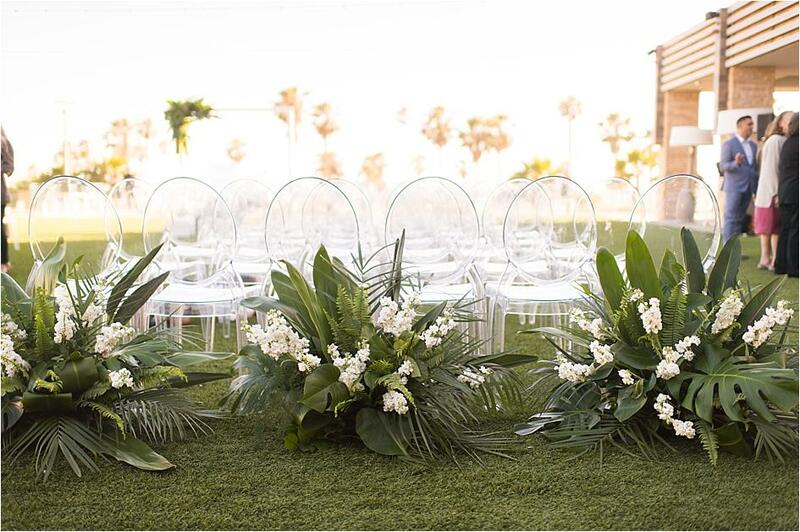 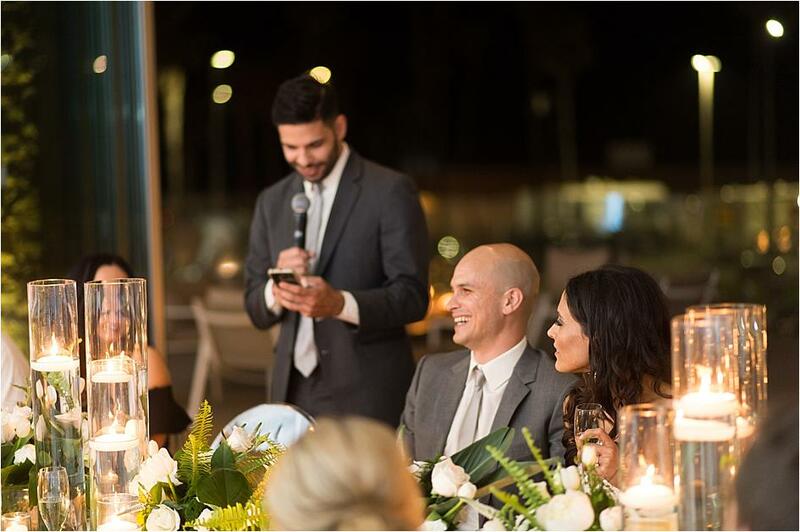 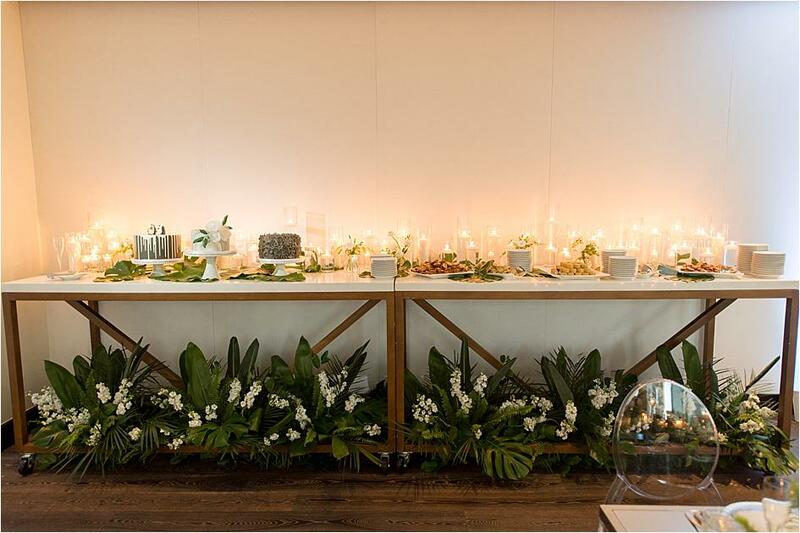 Guests were invited to a beautiful ceremony where tropical arrangements from Flowers By Cina highlighted palm leaves and the prettiest of blooms, while ghost chairs and minimalistic details added that perfect modern moment. 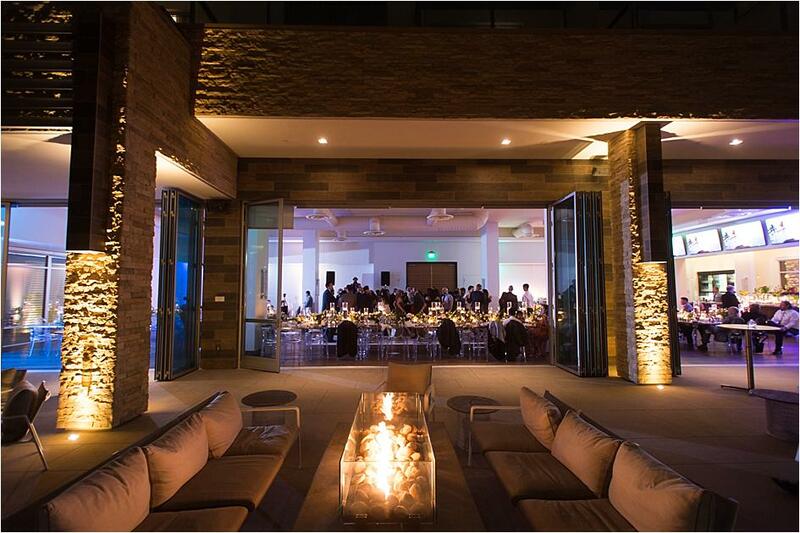 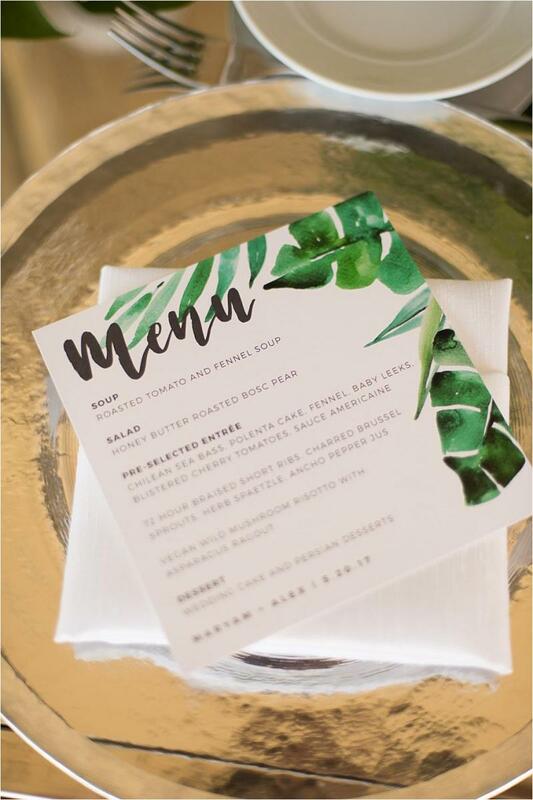 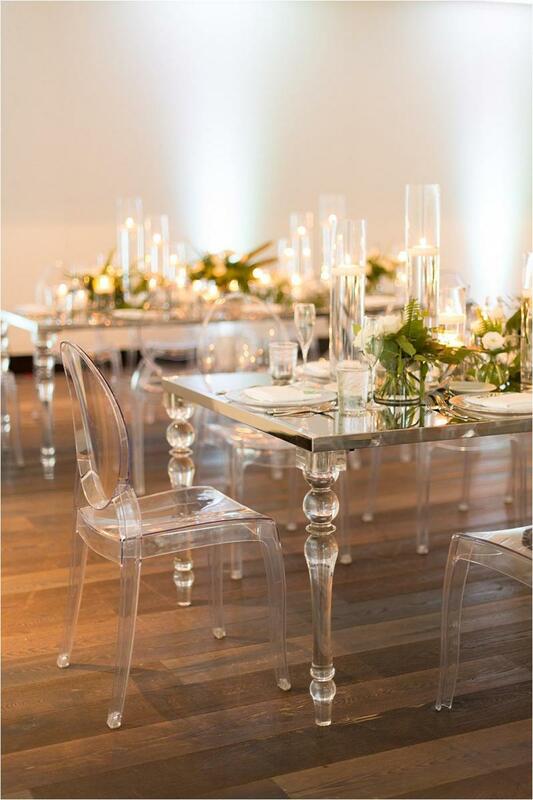 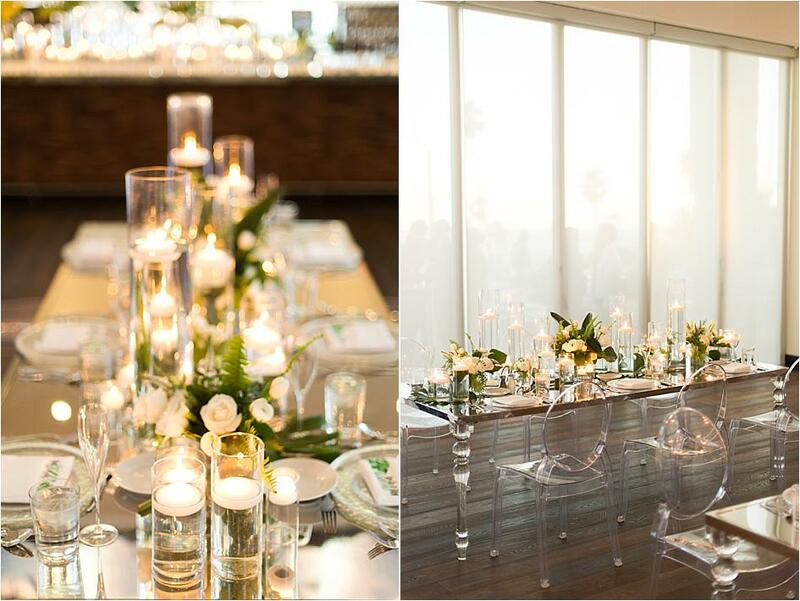 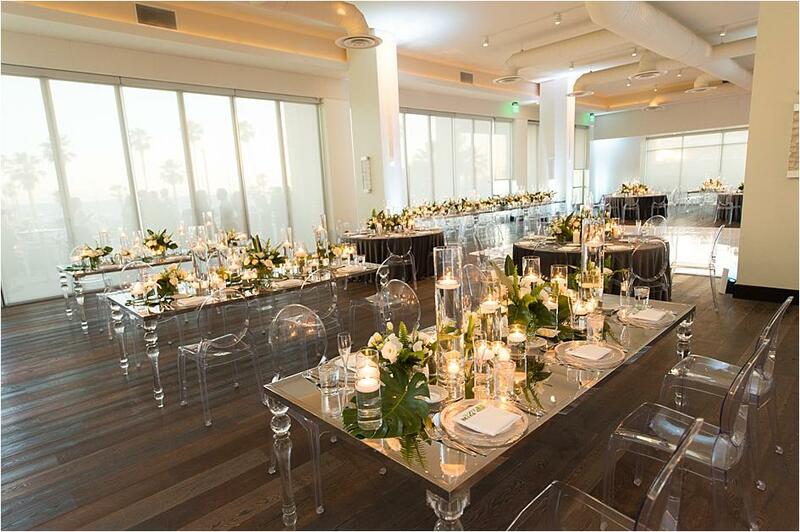 The gorgeous reception showcased a sleek design, with lovely beachy foliage and simple glassware gracing each table. 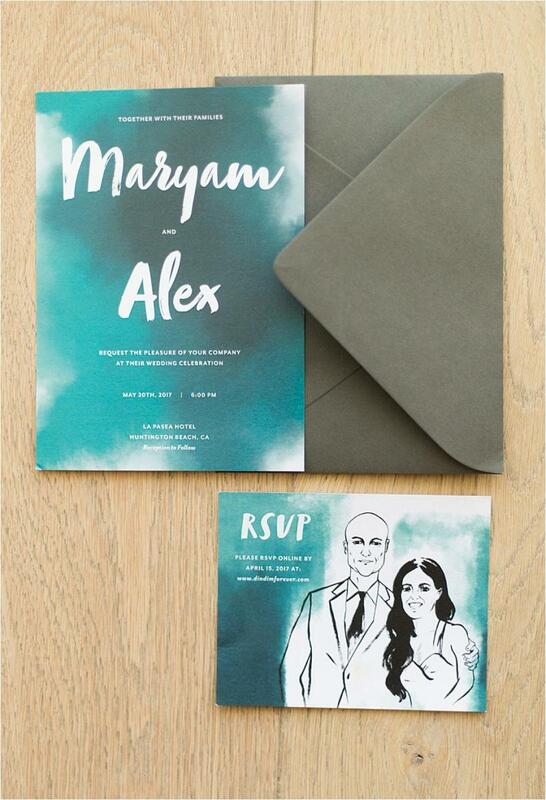 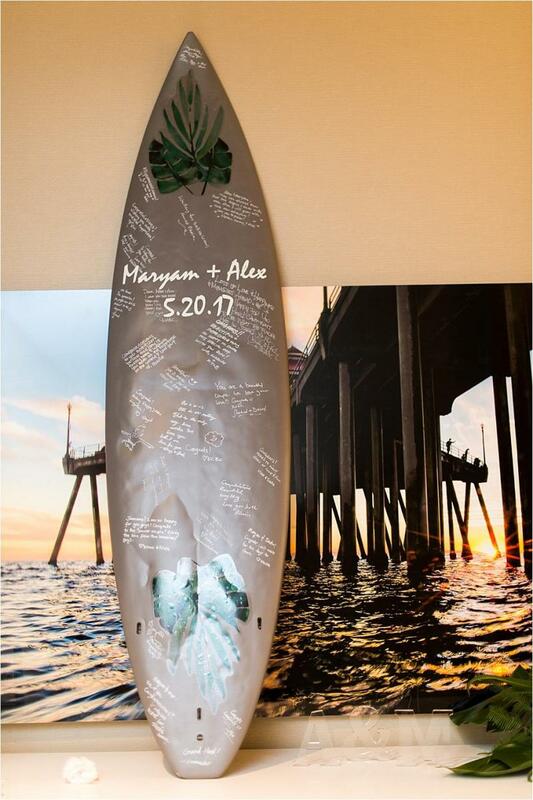 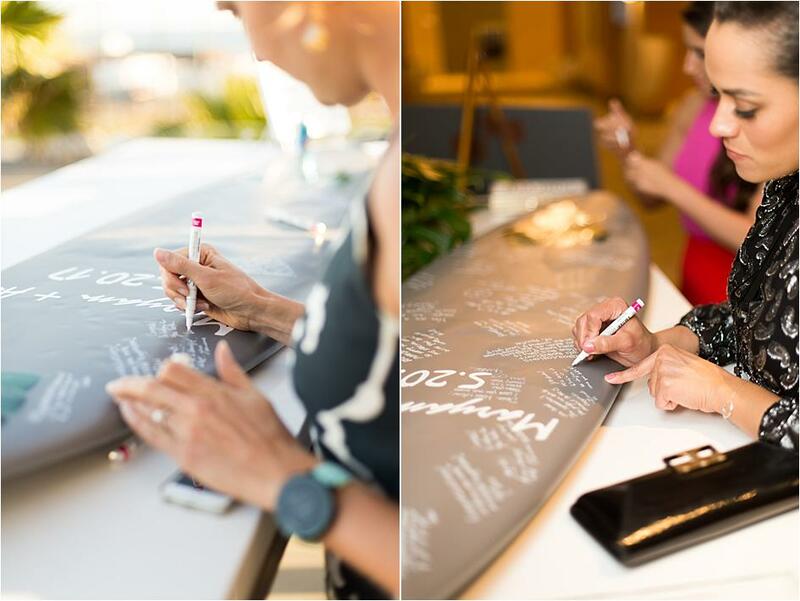 Maryam and Alex asked guests to sign a chic surfboard, adding their own personal twist on the traditional wedding guestbook and adding to the beach theme. 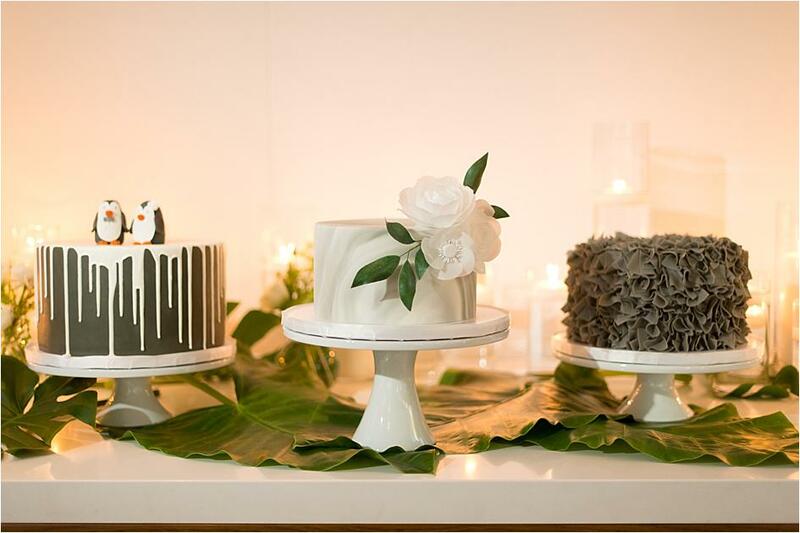 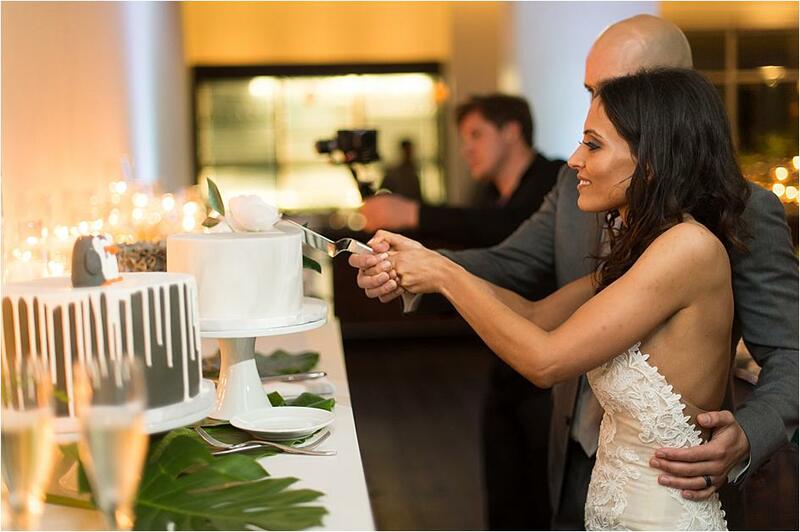 Candles lit up the night, creating a romantic ambience for guests to celebrate with Maryam and Alex and enjoy some delicious cake from Sweet and Saucy Shop, the perfect close to an incredible night in Huntington Beach.